The horror genre, since the beginning of time, has been a constant escape for its viewers. Through the decades there have been classic films that haunt our dreams and even over the top cheese fests that make us laugh. Horror is that genre that critics love to say will come and go but fans remain loyal to and support for years. It’s a genre that has given some of today’s biggest directors, writer, editors, and actors their starts. It’s a genre that demands respect and attention. Unfortunately, with any form of art that contains hundreds and thousands of entries, some horror films get overlooked or seem to disappear from history. There may be a film or two some remember watching from their childhood whose title never comes back. Maybe there’s an indie film with 200 ratings on imdb that’s a goldmine of a film but never gets any attention. This list today is a nod to some great horror films of the past 10 years, movies that seem to be forgotten or never got their chance to shine. If there are any movies on this list that seem of interest go out and buy a copy. Support the horror genre! Very few films are able to achieve the complete sense of dread and despair as perfectly as this Canadian gem from first and only time director Maurice Devereaux. This genuinely frightening low budget film offers up a story about a religious cult who believes the end of days is coming. They believe it’s up to them to purge as many souls as possible so that they can send them to the grace of God. Set mainly in underground subway tunnels, the film follows a group of survivors as the knife and sword-wielding followers of the Church hunt them down. End of the Line wastes minimal time getting started. After a few character introductions we’re quickly thrown into the dire events. The film plays on not just the fears of conformed religion, but also the different minds that may follow them. It offers everything from the skeptics, to the frightful, the blind followers and even those who would use the religion to play out their own demented fantasies. From the explosively gory start to the disturbingly bleak ending you’ll see everything possible in between. Don’t expect to feel much hope in this film as nobody, not even children, are safe in this terrific horror project. Not for the squeamish or the faint of heart. This movie is the very definition of simplistic in its best and most basic way. 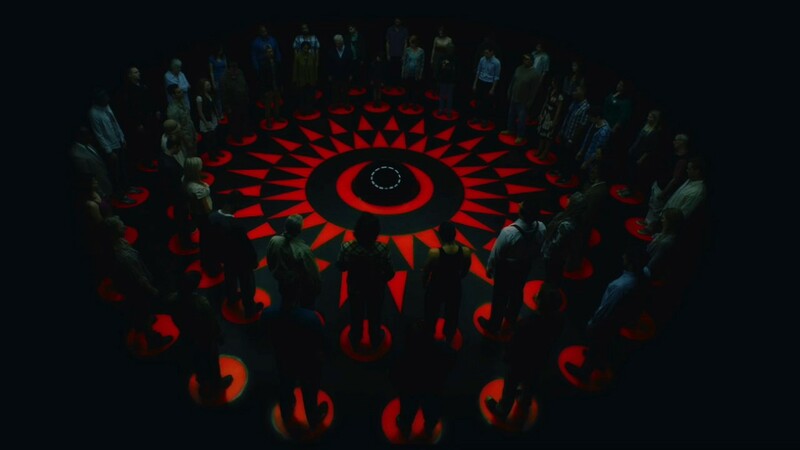 A large group of people wakes up in a giant circle and every minute one of them dies. Nobody knows why they’re there or what they’re supposed to be doing and by accident they discover they can vote on one another to die. What ensues is a game show like spectacle where alliances are made and speaking up can get you killed next. Circle is that Netflix hidden gem that shows up on everyone’s screen at least once. It’s a movie that puts you right into the action and doesn’t hold back on its views of racism, homophobia, and even ageism as one of the younger characters decides, “Old people first”. The movie is its own experiment, pitting characters from many different backgrounds and seeing how they’d interact. While some of its more politically driven narrative eventually falls by the wayside and doesn’t amount to much, it’s still a socially relevant and very entertaining experience. If you’re looking for over the top, Circle isn’t the movie for you. It’s not flashy; it’s not over the top. It’s just straightforward whose-next entertainment. While the ending may leave most viewers a bit underwhelmed, it’s the ride that makes it well worth the viewing. If there were a mysterious monster chasing after you where would you run and hide? Hopefully your answer wasn’t in a gas station in the middle of nowhere with two wanted felons that have you hostage. For the case of our main characters in Splinter that is exactly where they find themselves. What ensues is a fight of life or death and an alliance against a much greater threat that appears to attack sporadically and without motive. Apart from a fairly mediocre opening scene Splinter is a fantastic low budget monster gore-fest. The creature design is uniquely unnerving and the way the characters discover more about it is intelligent and well written. 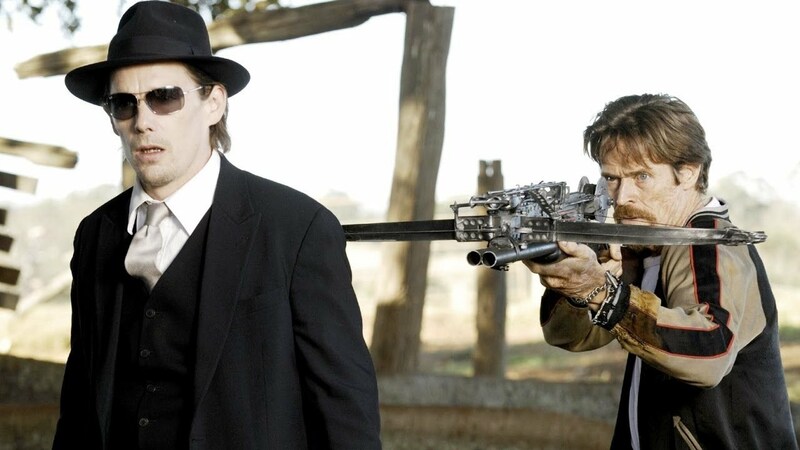 But the highest point of Splinter is the performances from its three leads, most notably Shea Whigham who soon after appeared in films like Silver Lining Playbook and The Wolf of Wall Street. These actors are what really sells and drives the film and the direction from Toby Wilkins perfectly ties it all together. Never has there been a better film about a giant crocodile ever made. Period. Not that there is really much competition outside of a few other films, but this Australian gem from Greg McLean (Director of Wolf Creek and Belko Experiment) went under the radar when it was released from Dimension Extreme and only seems to be mentioned by the more seasoned genre fans. 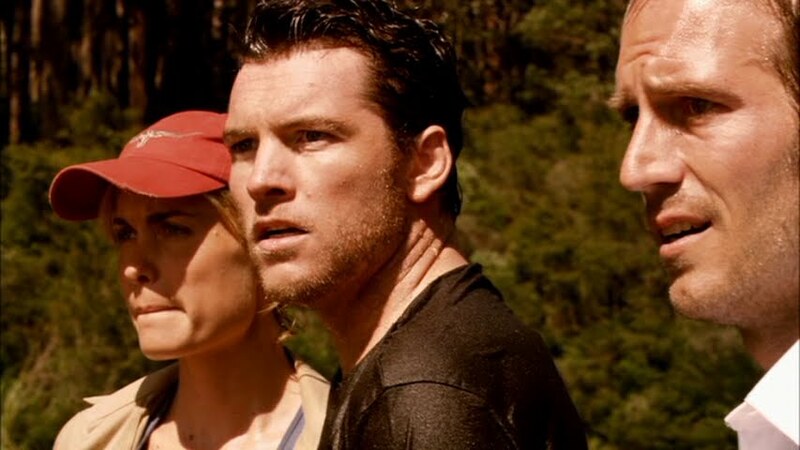 Set on a boat tour through the Australian outback, Rogue follows a small group of tourists who become stranded on shore after a massive creature attacks their boat. They’re not sure what it is or the danger they’re in, but instead look for solutions to get off the island before the tide rises. Once the giant prehistoric predator makes itself known things become dire as the tourists are picked off one by one. Rogue, similar to a film like Jaws, is very good at letting the imagination run before it blasts off and literally jumps in your face. There are some really tense moments and it’s made even better that the characters are intelligent and very capable of thinking things through. Unfortunately for them the hunting instincts of a crocodile make their stranded situation very dire. This is definitely not one to miss, especially if you love giant animal films. This isn’t your typical low budget zombie film. In fact, this really isn’t a zombie film at all. 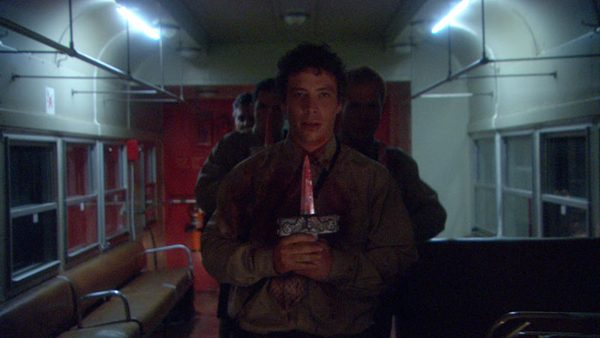 Dead Weight is the indie film that could from the Midwest that decides to take out the gore from the zombie genre and try something new with it. It has more in common with films like The Road than it would with Dawn of the Dead. Dead Weight takes place after the zombie outbreak has occurred and follows a man named Charlie and a small group of survivors as they search the landscapes for food and shelter. Charlie is on a quest to be reunited with his girlfriend, who may not even be alive, and his emotional burden drives his actions for better or worse. Played out in both real-time storytelling and through flashbacks Dead Weight delivers an emotion driven narrative that shocks and makes one question their own morals. Topped with some surprisingly good performances from most of the cast and a script that helps sell the desperation and despair of a post apocalyptic zombie world, there’s a lot to like in this project. Most low budget horror projects made for under $10,000 really tend to be painful to sit through and at times completely unwatchable, but Dead Weight is one of those rare gems that is well worth watching and experiencing.